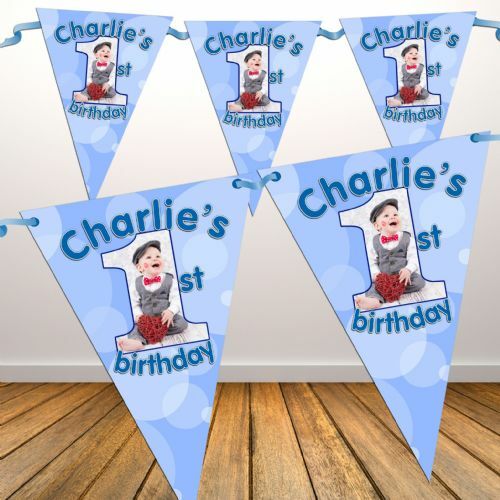 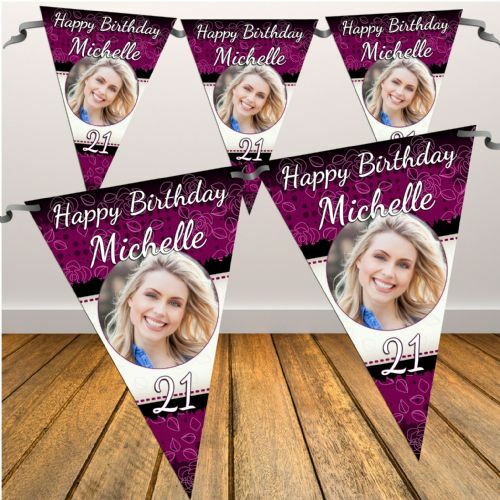 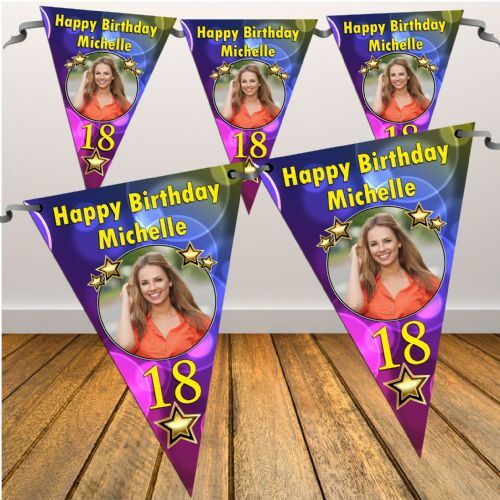 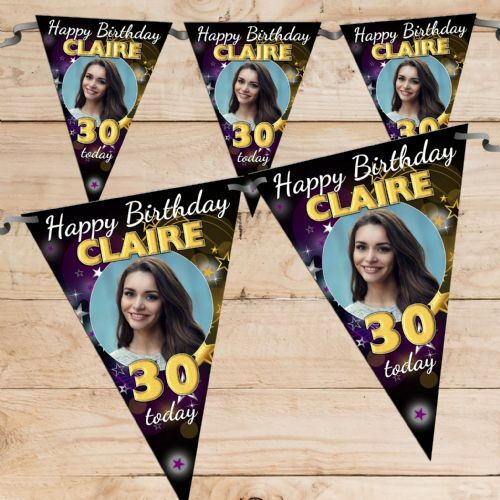 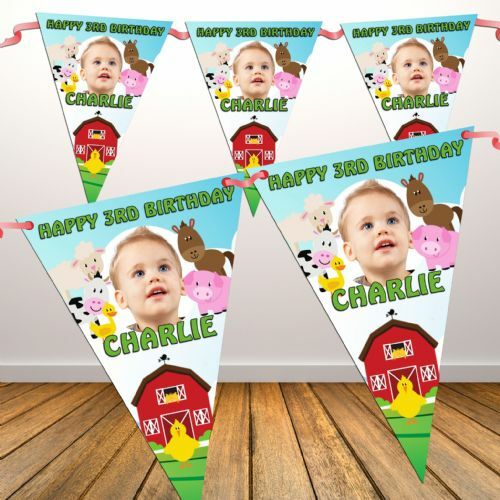 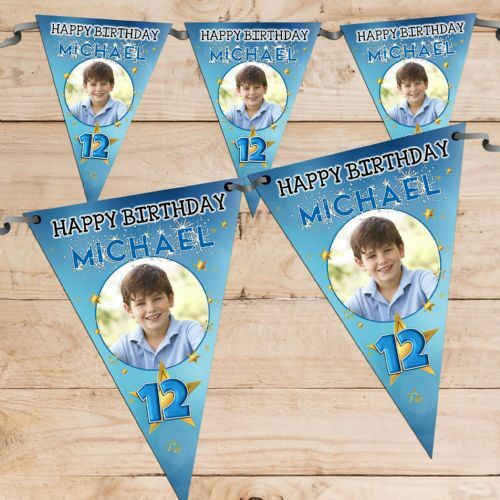 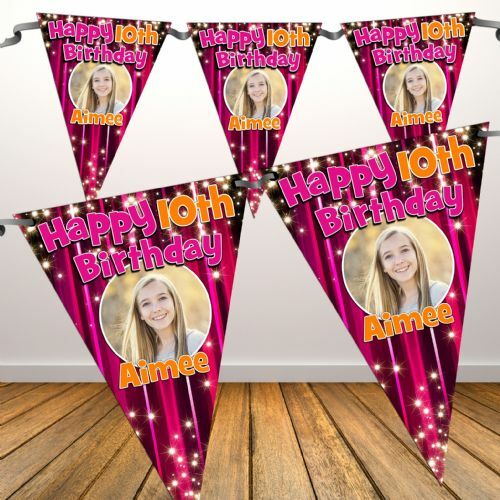 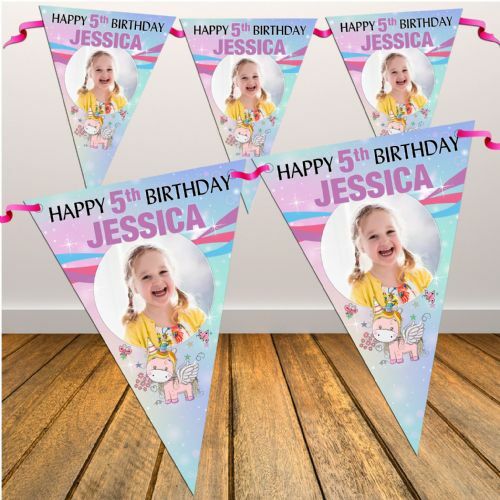 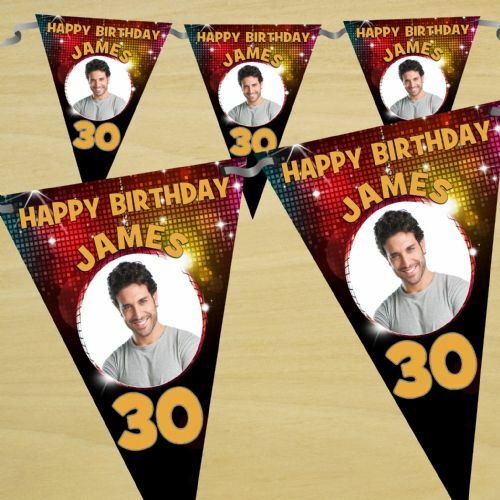 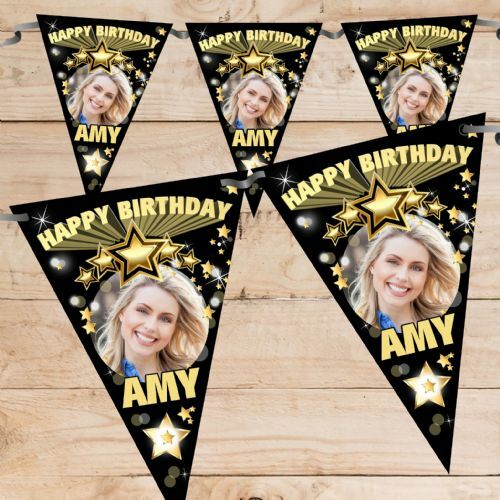 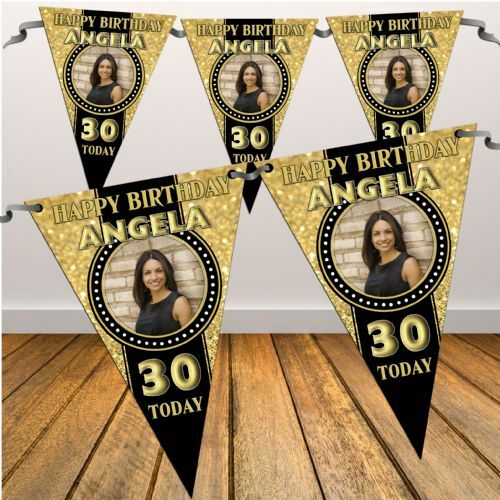 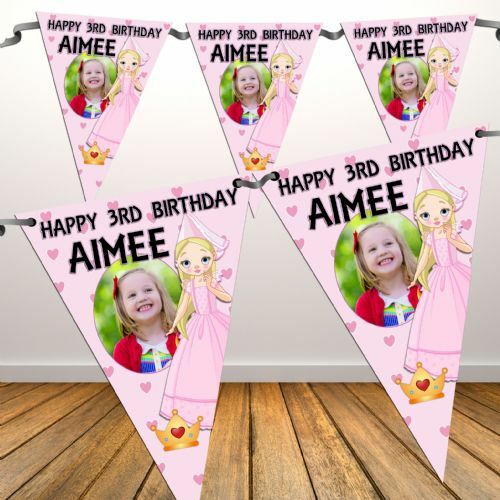 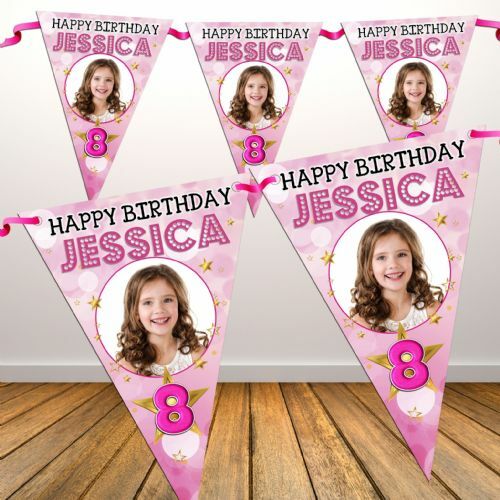 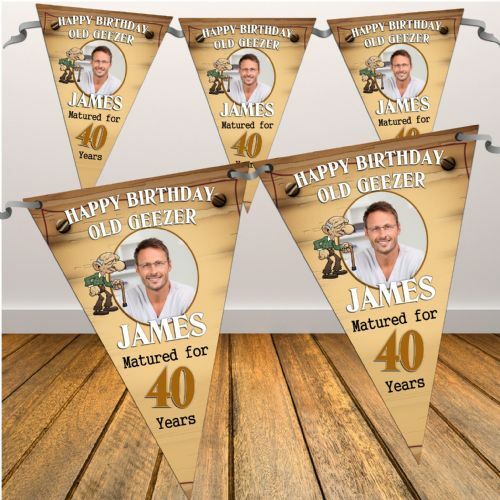 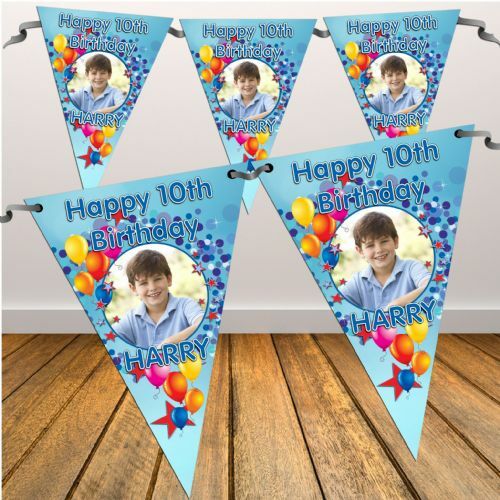 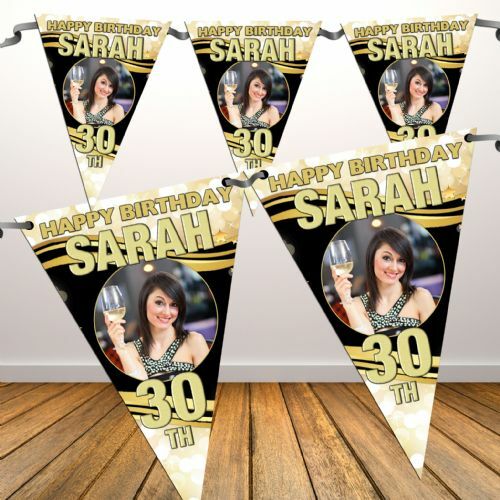 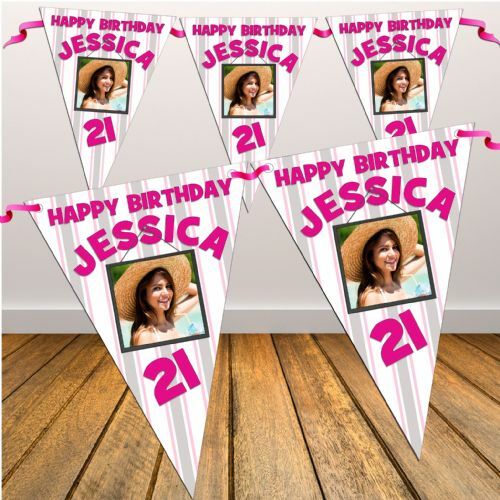 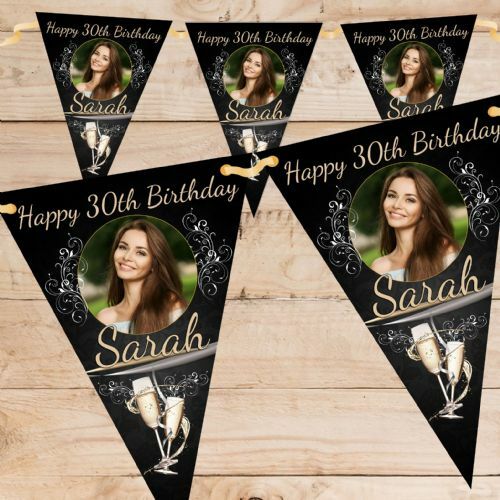 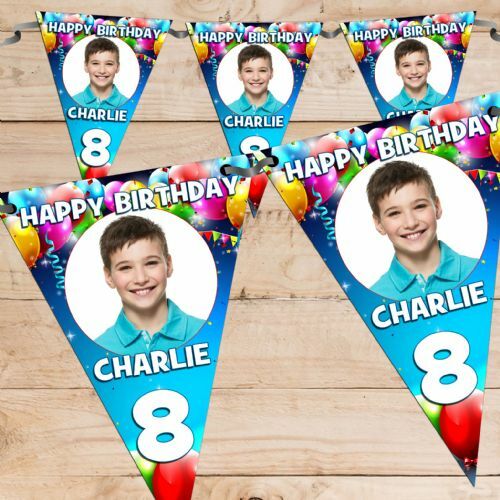 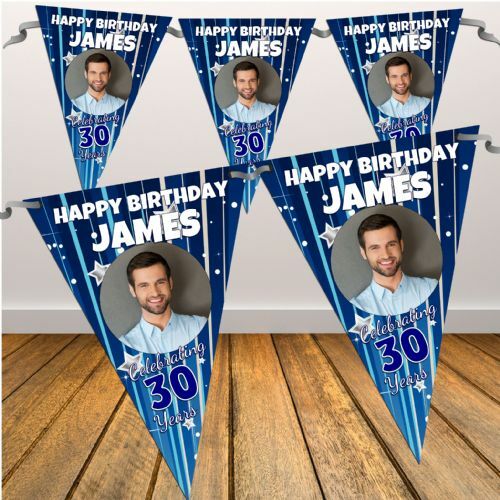 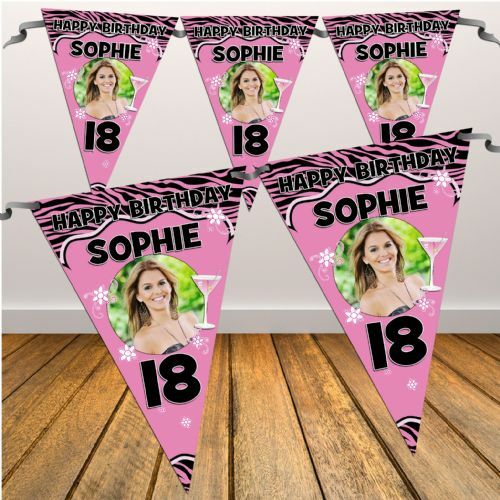 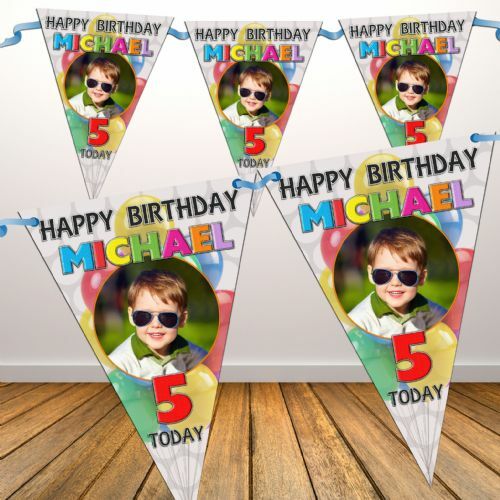 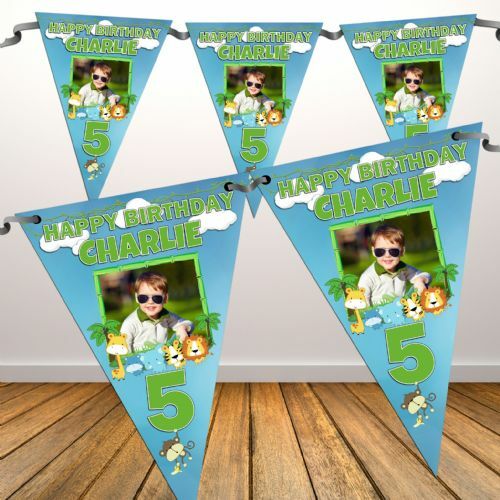 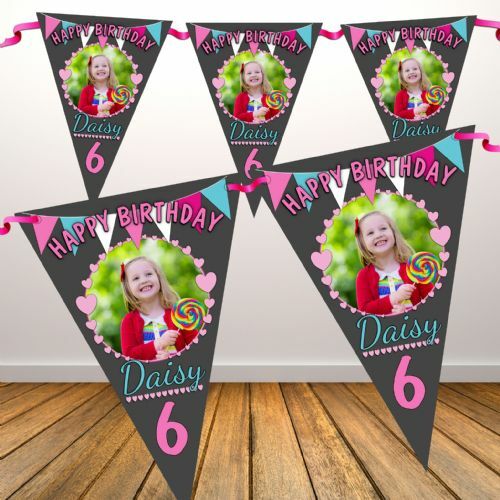 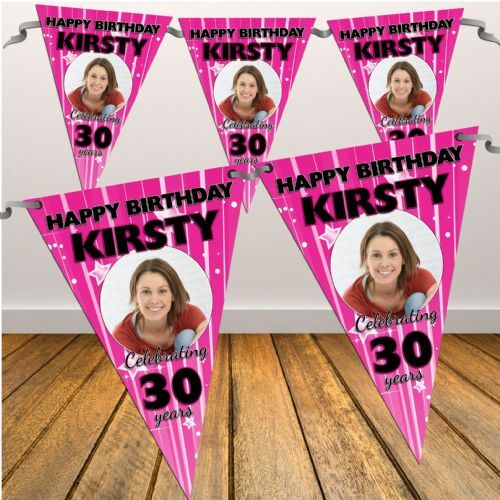 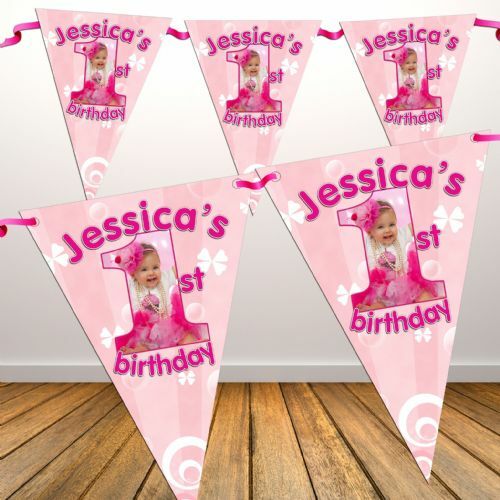 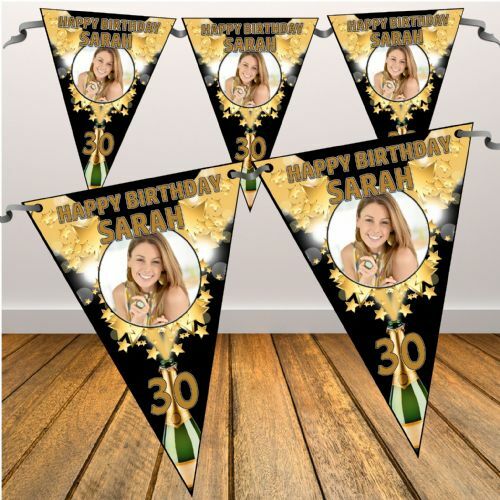 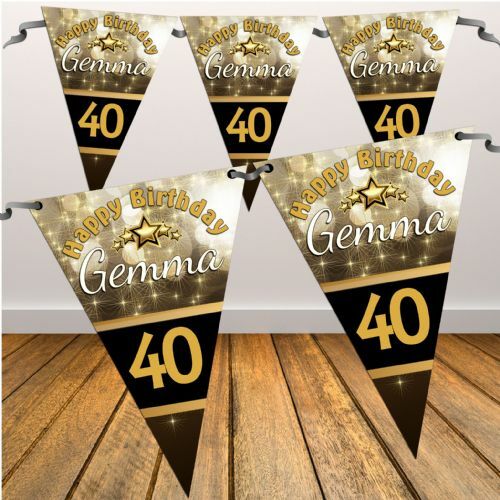 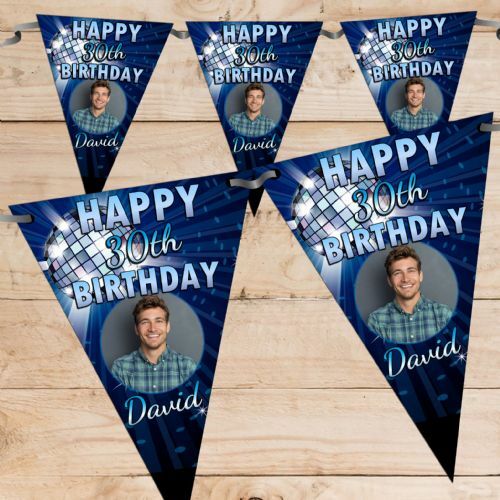 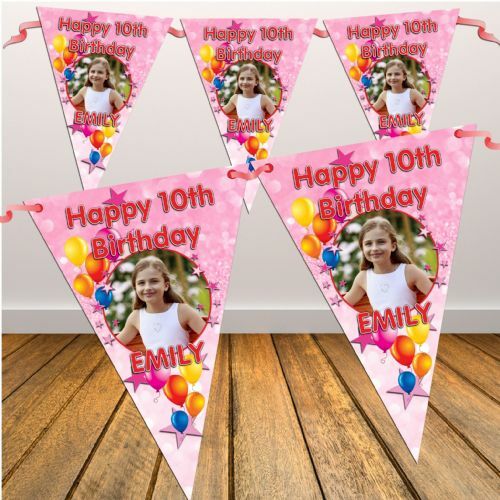 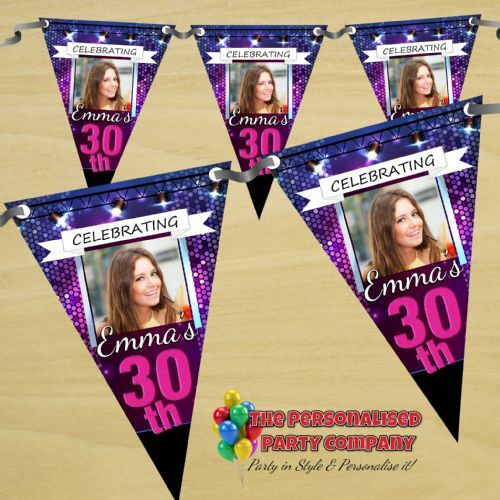 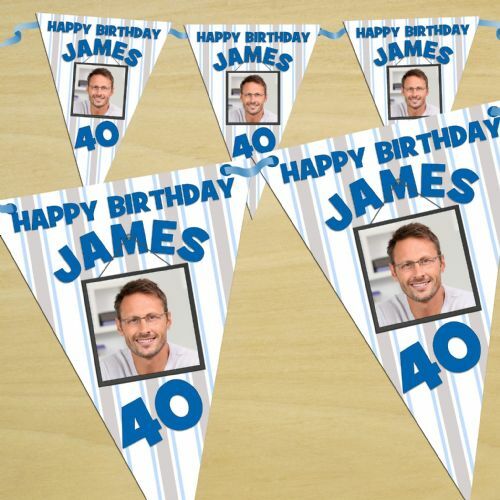 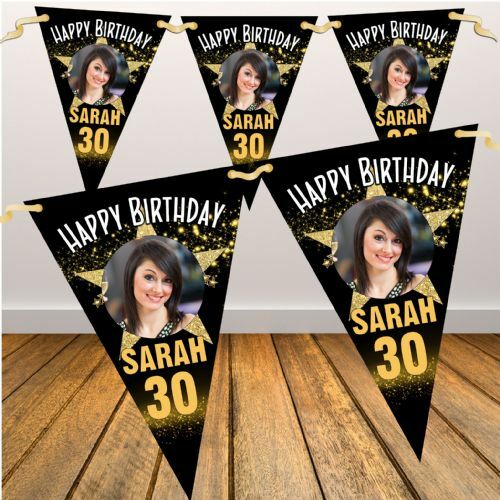 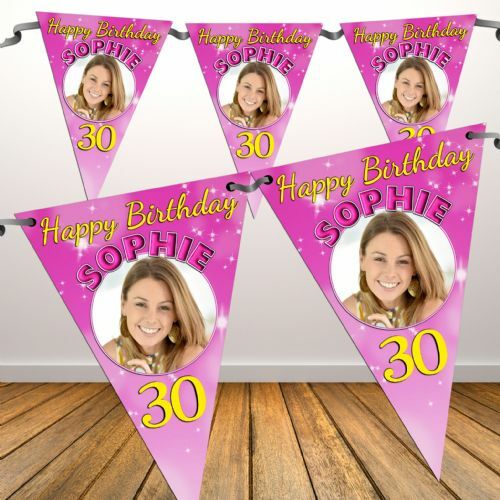 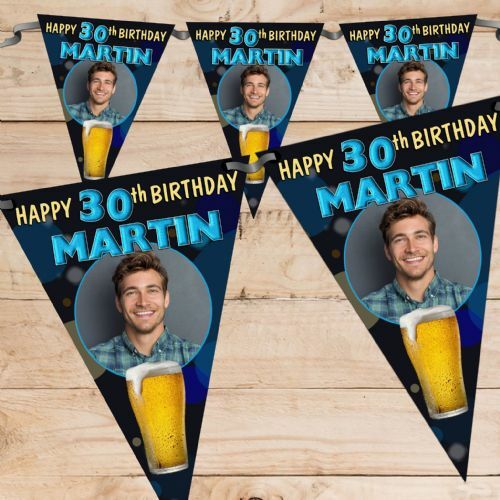 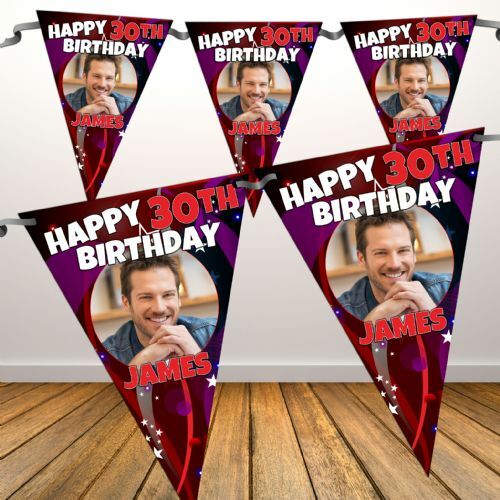 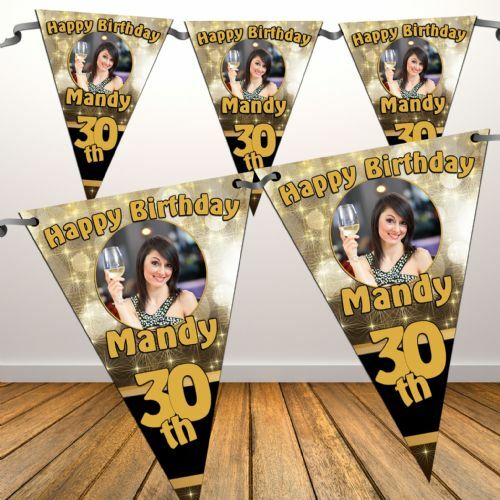 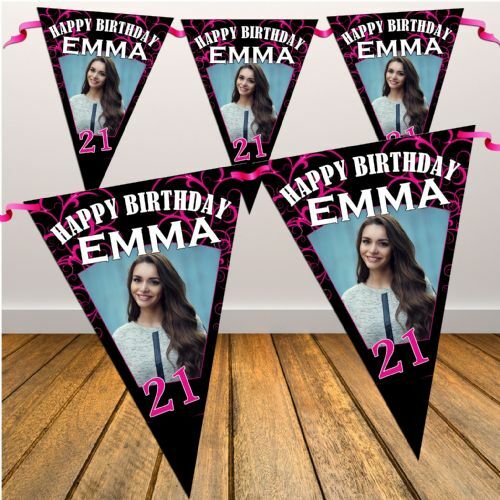 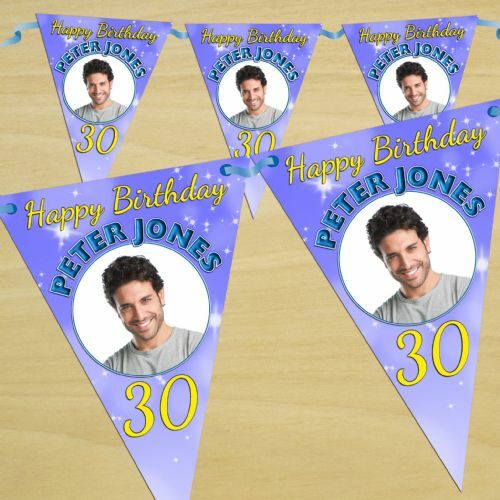 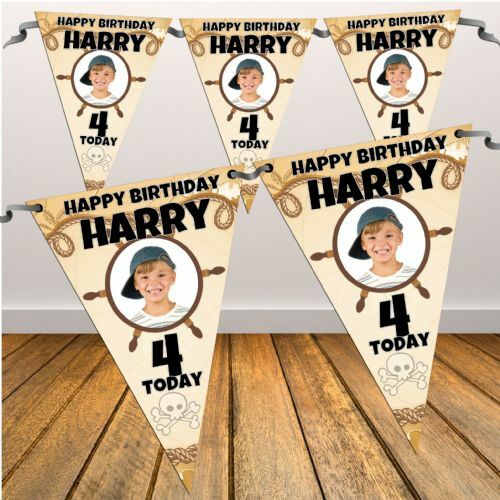 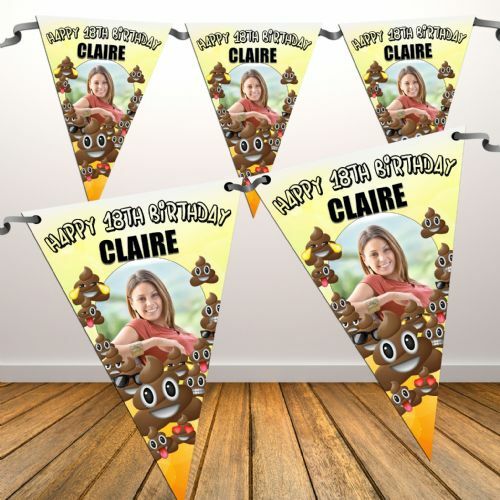 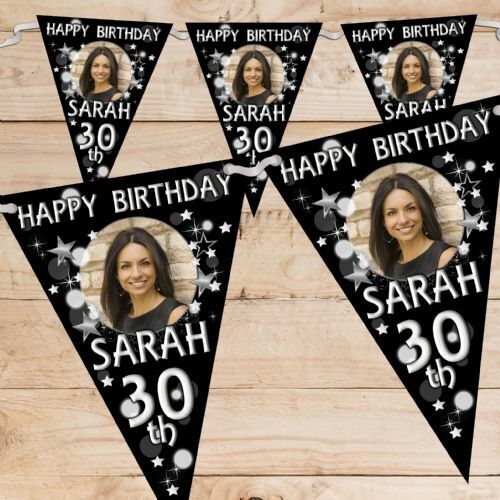 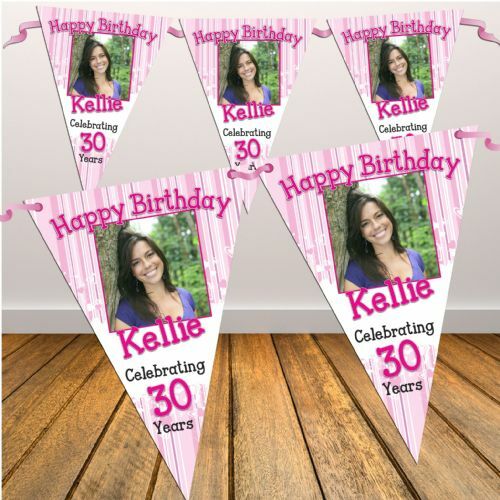 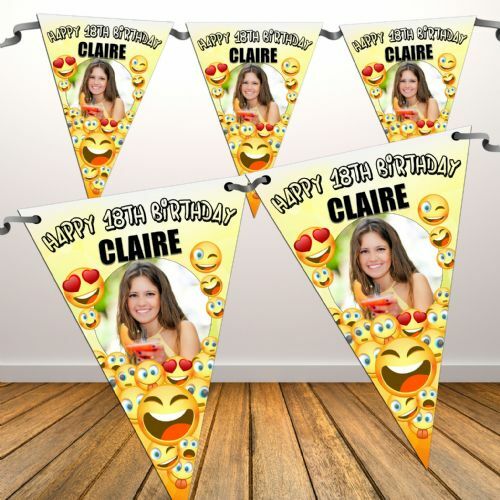 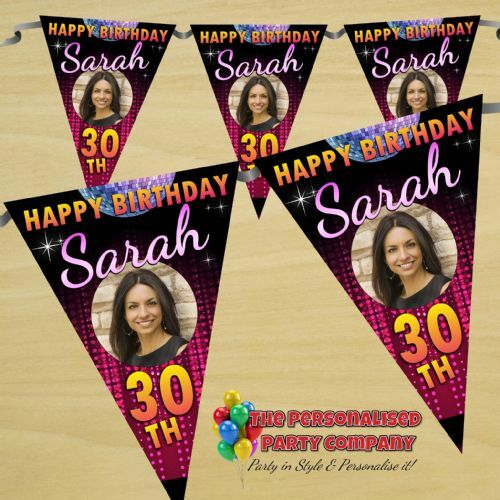 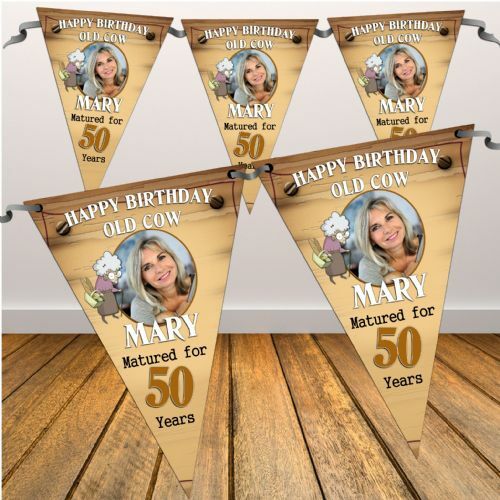 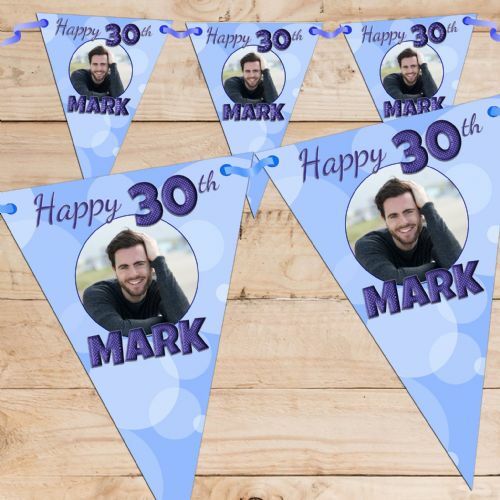 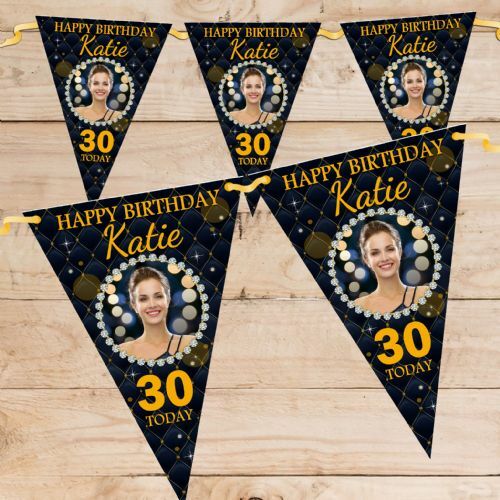 Personalised Happy Birthday Bunting Banners supplied with ribbon to hang up an celebrate a special milestone celebration for all ages. 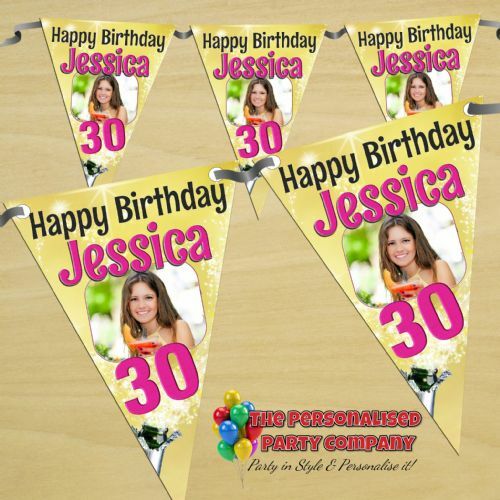 Customised with your wording and photo. 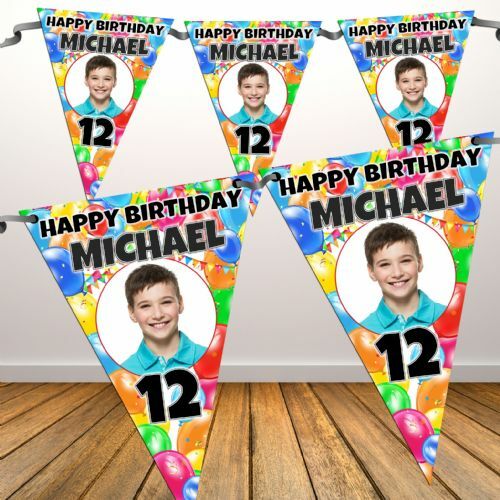 Designs for boys, girls and adults. 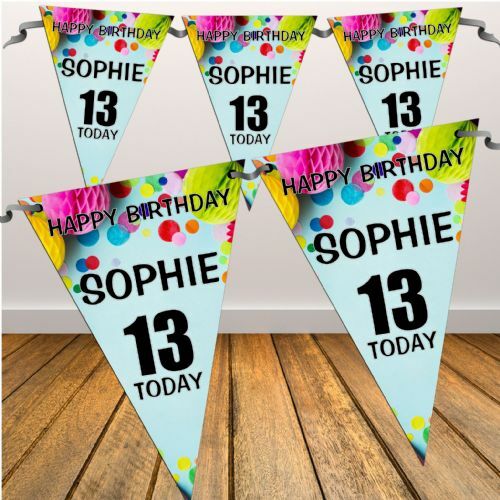 All designs can be personalised with any text or age.